SKU: SOL2057. Category: Fish Oils & Omega 3. 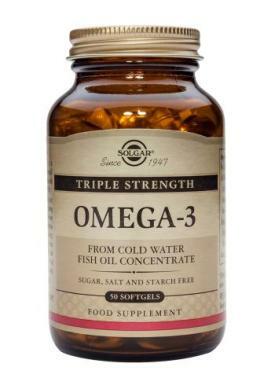 Solgar® is proud to introduce Triple Strength Omega-3 Softgels from cold-water fish oil concentrate. Two softgels provide 2800 mg fish oil concentrate, 1008 mg EPA and 756 mg DHA. 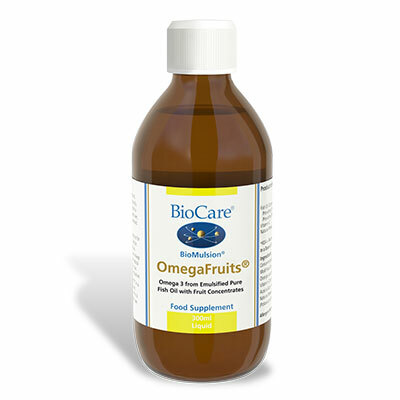 Solgar’s highest concentration of the natural Omega-3 polyunsaturates EPA and DHA from cold-water fish. 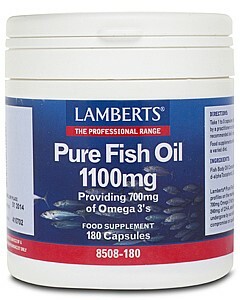 Ideal for those wishing to obtain the benefits of higher dose fish oil supplementation. TWO (2) SOFTGELS PROVIDE: Cold Water Fish Oil Concentrate 2800 mg Typically Providing: Eicosapentaenoic Acid [EPA] 1008 mg, Docosahexaenoic Acid [DHA] 756 mg, Softgel Capsule Shell: gelatin (from bovine), vegetable glycerin (from palm kernel oil and coconut oil), Antioxidant: mixed natural tocopherols.